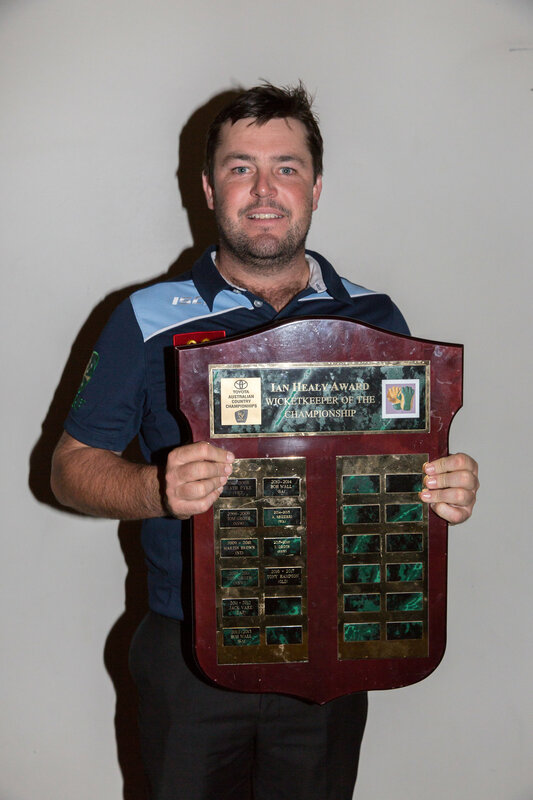 South Tamworth gloveman Tom Groth will lead a 14-man Bush Blues squad to defend their title at the 2019 Toyota Australia Country Championships in Shepparton, Victoria, during January. New South Wales Country selectors have named seven debutants and three players under the age of 23 for the tournament. Last season the Bush Blues claimed their first title at the Country Championships since 2012/13. Groth was the leading wicketkeeper at those championships in Geraldton, Western Australia. He claimed an impressive 13 catches and three stumpings with the gloves throughout the competition. This record earned him the Ian Healy Award as wicketkeeper of the tournament. Central Coast has the most representatives in the 14-man squad with four. Newcastle is the second best represented zone with three debutants selected, allrounder Adrian Chad, batsman Jed Dickson and Josh Geary. The other four debutants named in the squad are allrounder Chris Archer (Central Coast), Alec Baldwin (North Coastal), Dubbo allrounder Ben Patterson (Western) and Adam Taylor (Central Coast). Baldwin, Patterson and allrounder Caleb Ziebell are the three players under 23 selected. Ziebell and Groth were among four Bush Blues chosen in the Australian Country Merit team at the end of the Australian Country Championships last season. They joined Joe Price and fast bowler Cameron Suidgeest in that merit team. Suidgeest and Ziebell will again join Groth in the Bush Blues squad for the upcoming Country Championships in January. Ziebell was named the Player of the T20 Final last season after a ruthless 110 not out from 60 deliveries against Queensland. He was the leading run-scorer at the Country Championships with 395 runs to his name at an average of 43.89. Suidgeest claimed 20 scalps to finish at the top of the list of leading wicket takers for the tournament.